Last night at 6pm Gateway Pundit shares a news story carried by a single MSM source, The Oregonian, that a Liberian woman in Portland has been admitted with Ebola symptoms. Now, 15 hours later, there is no new news on her diagnosis. Why? I suspect the white house has issued orders to their sycophants in the MSM to hold all Ebola news until they have a chance to review it, edit it, and prepare their response to it. Why these orders? 2) The white house is using the excuse of 'containing panic' to force the MSM outlets to delay any/all Ebola news. Some in the MSM outlets are blind to the fact that this is damage control rather than concern for Americans. Others know and are complicit. 3) Short of closing the border and stopping all travel to/from W. Africa, the administration has no cards to play here. Every new case of Ebola further exposes their self-inflicted impotence. I further suspect that the rules for news containment will change starting Tuesday night after the polls close. This will be proof of my theory above - that if Ebola symptoms lead to a diagnosis in less than 15 hours we were either being lied to, or deceived, prior to the election. Why the delays in diagnosis? For one, did you know that only the CDC can give an Ebola diagnosis? It is convenient to have a single source of news, and that source being a government entity, if one were to want withhold information from the public. Shipping a blood sample to the CDC for testing and diagnosis requires 4-6 hours. 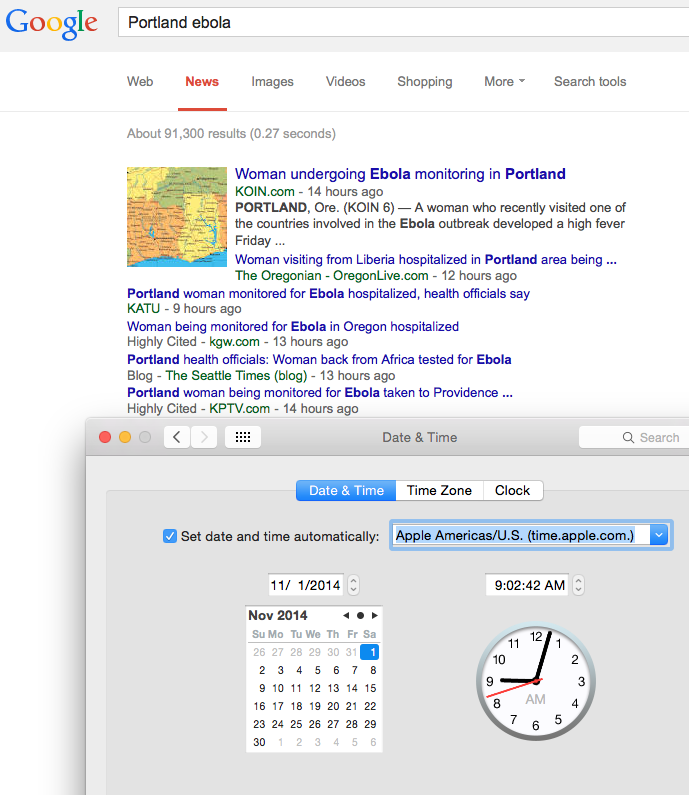 By midnight last night the CDC knew whether the Portland patient has Ebola. Why would the CDC be the only source for Ebola testing? 1) They have the only lab that is secure enough to handle the diseased blood? I would call BS on this. Even if this strain is airborne, ie coughing, a blood smear on a slide is not going to have the airborne capabilities. 2) They have the only microscope that can pick up the Ebola signature above? I call BS here too. 3) They have a test that is so rare or expensive, or requires advanced procedures or expertise, that it is not possible to distribute to the nation's hospitals? BS. 4) To keep the CDC relevant and thus funded, and to control information. That's a Bingo! My suggestion for hospitals across the country: Do your own blood test and post any Ebola diagnosis to your website. Use the Reagan communication principle: talk over their heads to the people. Gateway Pundit, Ushanka, and others will take it from there. If I'm correct here, the media elites, along with their Democrat Party masters, have prioritized information control over your life in order to limit damages in Tuesday's election. 2) The "4-6 hour" diagnosis timeline may be wrong. If it takes longer, I'd ask how much of that longer timeline is bureaucracy and how much is science? 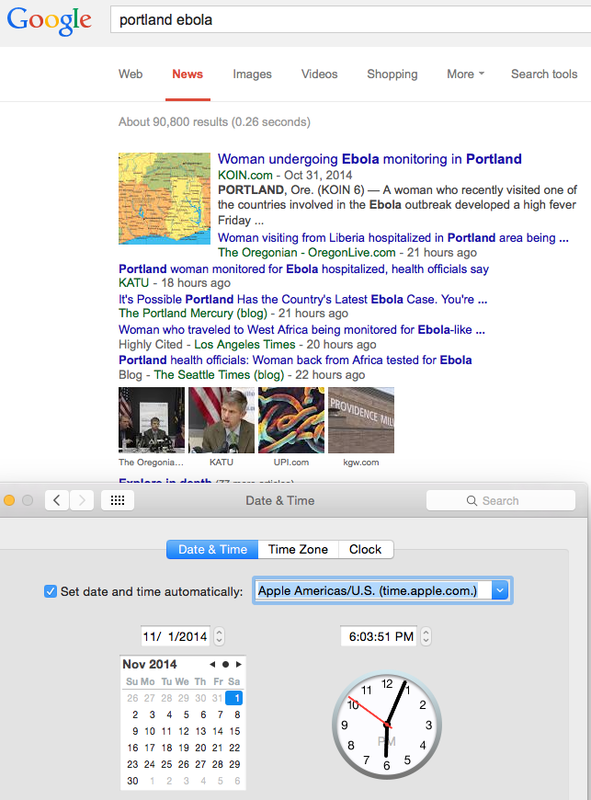 Because a disease with a death rate like Ebola's deserves a faster timeline. Faster than 4 hours, in my opinion. And if Obama, CDC Director Freiden, or the Ebola Czar agreed that it should be quicker, we would have heard them say that by now. A comrade, hat owner and physician corrected one item in my original post. The Dr. says it is doubtful that a hospital would want to broadcast an Ebola case, as they would lose substantial business with their out-patient/elective surgeries. I did not consider that. I stand corrected. 51+ hours later, the only update is from the family who the Liberian woman was staying with. They say she no longer has a fever. The patient is still being treated in isolation. No official statement. No genuine curiosity from the MSM. Maybe the CDC doesn't work weekends. It is a government operation. 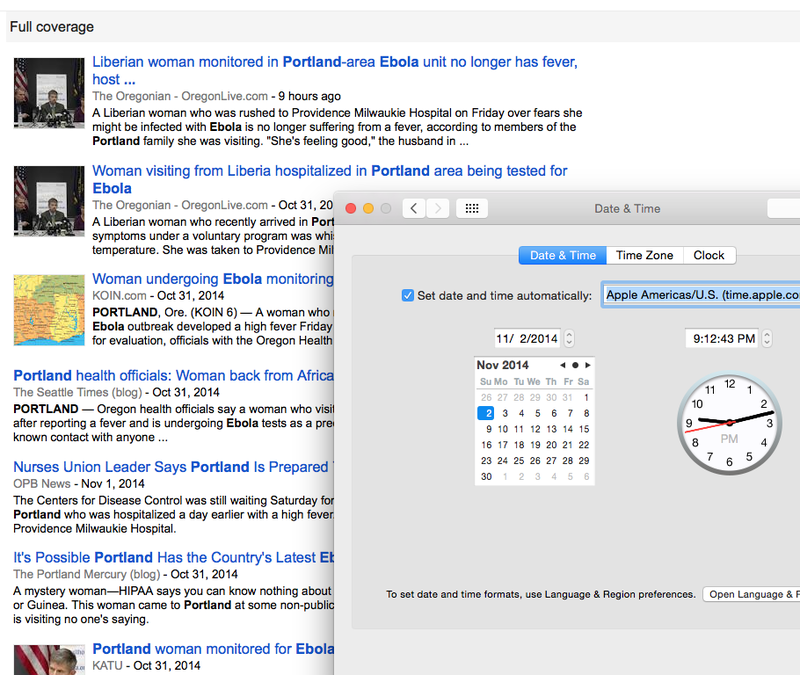 The Oregonian reported the Liberian woman does not have Ebola about an hour after my update last night. That is good news, but does not negate the suspicions here that there was a gag order on Ebola news. Does it take 4-6 hours to diagnose, or does it take 52 hours? I won't expect a straight answer until after the election. What else have they "agreed not to report?" Gateway Pundit's post on this Gag Order. You people have great funny writing abilities! Thanks for the chuckles about Barry and his Islamic supporters! There is no "test" for ebola currently. I work with labs. They are ordering new panels of tests to look for certain indicators, but there is no 100% certain test. So they dont even know if there are people who NEVER get sick but carry it. 'Anonymous' #2 is flat out wrong. 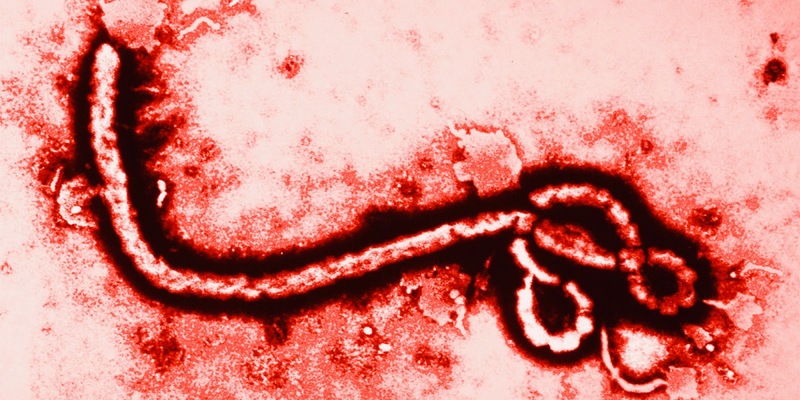 There is indeed a gold standard test for Ebola infection. These are ELISA (enzyme linked immunosorbent assays) that look for the presence of certain proteins made by the Ebola virus. There are several; a surface glycoprotein, a nuclear protein, and a "GP40" protein. Each is unique to Ebola. ELISA works because you have an antibody that binds very, very specifically to the protein in question. ELISA technology has been around about 40 years. I do them in my own research lab. You can generate your own antibody or buy it; you can make your own ELISA plates (the plates have 96 or 384 wells, and each well is a separate test) or you can buy kits that are darned near idiot proof in the hands of a decent lab tech. Short version: we DO have specific tests for Ebola. That's how CDC, WHO, etc knows in the end who has Ebola, who has Marburg, and who has other hemorrhagic fevers. Would anyone put it past the national socialist media to help out their buds in the Left’s national socialist party? Ebola outbreaks cast a shadow on the current administration’s efforts to focus the low information voters on important issues like free rubbers and mythical sexism and racism of certain groups. We shall soon see after election and any bad news is held up..